"According to the National Center for Charitable Statistics (NCCS), more than 1.5 million nonprofit organizations are registered in the U.S. This number includes public charities, private foundations, and other types of nonprofit organizations, including chambers of commerce, fraternal organizations and civic leagues." As a nation, our overall charitable giving is impressive. As a whole, we give more than most nations in the world, both domestically and internationally. While our total giving tended to drop a bit during and right after the recent recession, those numbers are back up and still rising. The majority of giving comes from individuals, as it has for decades now. According to Charity Navigator, individuals gave $286.65 billion, which accounted for 70 percent of all giving and was 3 percent greater than 2016. Corporations only accounted for about 5 percent of total donations, but their total amount was greater by 8 percent in 2017 at $20.77 billion. "Historically, donations from individuals account for over two-thirds of all donations. If you add in gifts from bequests, then the category accounts for nearly 80% of all giving. In other words, the donating public, not big foundations or corporations, is responsible for the vast majority of annual donations." What About Donations Like Used Furniture? The IRS refers to these types of donations as "non-cash donations" and, as with money, Americans are quite generous with these, too. One example of a non-cash donation, of course, is furniture. This can be anything from kitchen tables and chairs to sofas, recliners and coffee tables. While bed frames and headboards are great, mattresses are often rejected. Donating old furniture, however, doesn't mean dumping broken or unusable items. In other words, non-profit groups are not in the market for clothing, furniture and other items that are irreparable or can't be restored. Old furniture in that condition should be handled by a junk hauling firm, but not donated. But even perfectly usable items might not be good prospects for donations. Not everything that is unwanted should be donated. There are some simple questions to ask yourself before hauling that old piece of unwanted furniture down to your local thrift shop or Goodwill store. Everyone needs furniture. 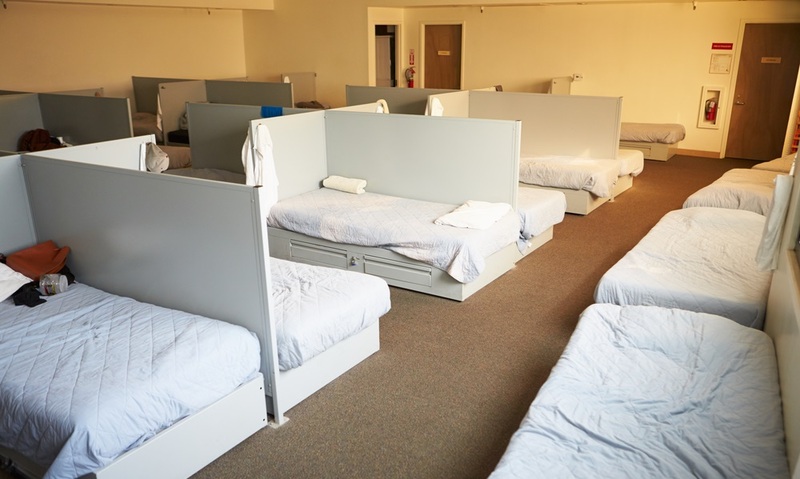 Whether it's an office, homeless shelter, group home, free health clinic, or some other type of charitable or non-profit entity, furniture is a necessity. And there is more than enough out there. For example, it has been estimated that Americans spend and average of more than $120 billion on new furniture every year. And new furniture usually means that the "old" furniture needs to be gotten rid of. Unfortunately, this also means that an inordinate amount of otherwise useful furniture ends up being tossed out. In fact, discarded old furniture is responsible for about 5 percent of the total household waste that is produced each year in the United States. This is roughly equivalent to more than 12,000,000 tons of furniture annually. And much of that waste is comprised of otherwise perfectly usable items. So, we understand that donating your old furniture is not only helpful for many charitable organizations and the people they serve, but it is also helpful in reducing the amount of waste generated in our country each year. After asking yourself the four questions, you can determine the various items you can safely donate. However, once you've done that you may find that you still have a number of items that still need to be gotten rid of. So, what do you do with them? Well, that's where hiring a professional and reliable junk hauling firm makes the most sense. Great customer service and a commitment to recycling are vital to Junk King's mission. We make it easy for you to say goodbye to unwanted junk, and we make it easy on the planet, too. Our staff will be happy to answer your questions and provide simple, upfront pricing. Our junk removal services are performed by friendly, trained, and insured professionals who quickly haul away the junk and truck it off to the most eco-friendly disposal methods available. Being green is part of our company mission. We back that up by recycling, donating, or repurposing everything we possibly can. When it comes to appliance removal, we take the eco-friendly route by making sure the metal, plastics, and other materials involved get broken down and recycled properly. 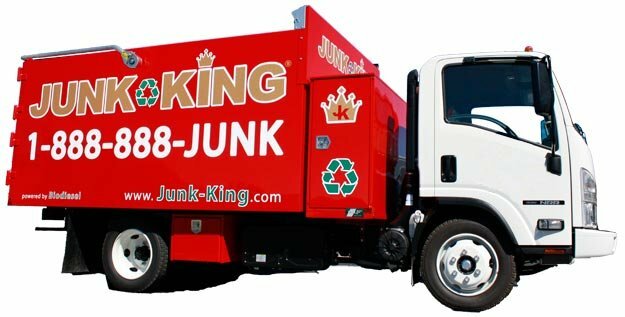 Junk King can efficiently and affordably pick that old junk up for you. Call 1-888-888-JUNK (5865) or book online to schedule a free on-site estimate. Junk King, the best in old furniture removal and pick up, also makes sure that old furniture ends up where it can be reused responsibly.